Thessalyn is a gifted, blind child from a peasant family. She's been sent to the prestigious school of minstrels on the island of Mance, but she feels like an awkward outsider. Things seem to improve when the school loans her a griffin, Chesher, for reading and navigating. However, Chesher has her own handicap -- stumps where her wings should be. One day in the library, they find an ancient book in a language that Chesher can't or won't read to Thessalyn. Chesher seems frightened by the mysterious book. While the crew of the Scarlet Albatross struggles to survive her harrowing voyage, Gerard is busy keeping his promise to his father. He and Silveo return to Holovarus for a brief farewell visit. However, chaos is threatening to overwhelm the Great Islands, and even little Holovarus will not be spared. Gerard's father and brother are facing difficult decisions, and they need help. Gerard feels torn between his old kingdom and his new family. 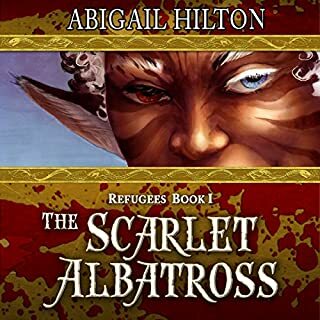 The situation only grows more complicated when the crew of the Scarlet Albatross limps into port, bringing old enemies and a child Silveo didn't know existed. Jager Thunder is a sequel to both The Scarlet Albatross and The Guild of the Cowry Catchers sagas. What a riveting tale of adventure, intrigue and politics. This book takes place as two distinct stories, yet they weave together perfectly. The first part is suspended in the air in a flying ship, the second a political jostle for power. Thank you Abigail Hilton for another fabulous novel! As a follow up to The Scarlet Albatross this book was wonderful. As a way to round up the GoC characters and pull them in, I felt a little bit like everyone was making a cameo in everyone else's story and that I was having a hard time finding satisfaction- that is, until the plot really got off around the halfway mark. The book itself is wonderful, but I found I was impatient, so I would suggest that if you want the pay off, hold tight. Rish and Lauren do a wonderful job acting this out, but if you are coming from the full cast productions, I would recommend trying very hard not to compare their voices, respectively to those of Nathan Lowel, Chris lester, and Norm Sherman. Its odd to hear the 'voices' of characters that are essentially old friends change, but then again, these two do such a wonderful job of keeping the same vocal quality/mannerism that it comparisons don't mean a whole bunch. All in all, a solid book and I am very excited to see what happens next! Panamindorah is a fascinating world and continues to intrigue me. Abbie’s story telling style builds a rich world and deep characters. I really enjoyed how this story tied together previous stories and is setting the table for others. There is definitely an element of unpredictability that I enjoy with Abbie. As soon as I think I have things figured out, she surprises me with a new character or element to the story. I typically listen in the car, and I found myself sitting well after I had arrived, just to finish a part of the story. My only criticism would be two narrators. Independently, both do a great job. I did struggle when the switch happened and would prefer the consistency of a single narrator. 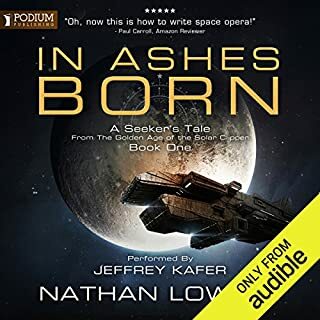 I felt like it would throw me out of the world and I had to adjust to the new narrator for a bit before I could settle back in. Minor nitpick, but enough that it bothered me when the switch happened. I really enjoyed Jager Thunder. Best if you’ve already read The Prophet of Panamindora. The characters and places described so well you can almost see them. Great story filled with danger, excitement and even family intrigue. So many aspects of real life woven into a very colorful fantasy world. Keep up the good work. I’m looking forward to your next book. Loved it. Abby has successfully captured my attention yet again with this even paced return to the cowry catcher universe . This story takes place at the turning of an age and there are enough elements ease that baton pass . Initially I was and sorta still am worried about what this change will mean for the feel of this adventure on the high seas that I have come to love but by the end you should feel excited to see . This is queer positive series of books so if you are queer like me or just want more diversity in novels I'd invite you to check the whole series out . The story is solid but raises some questions about how time is linked in the world ( prophet ) sorta lays he ground work for jager thunder in a cool way . Abby continues to weave through multiple points of view and no one feels lost . The hardest thing for me were the voices of older characters, I know the full voice cast is a lot however I really think it would have made the story feel more like the next step and not so brand new , but overall it's not the biggest thing to get over . 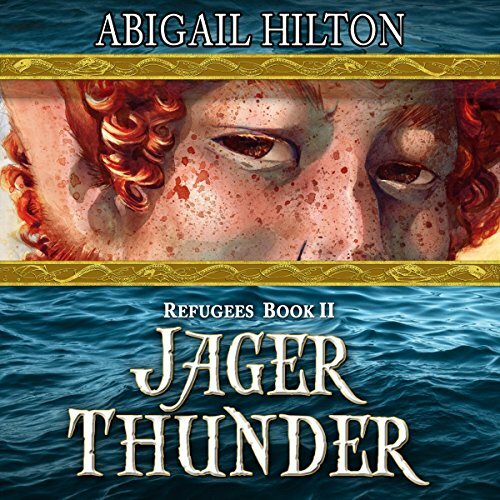 Would you consider the audio edition of Jager Thunder: A Story of Black Powder and Panamindorah: Refugees, Volume 2 to be better than the print version? I didn't read the print version of this book, but the audio version was great! I really enjoyed the performances of Rich Outfield and Lauren Harris. I really liked the way the narration switched between Rich and Lauren based on the point-of-view of the chapter. What other book might you compare Jager Thunder: A Story of Black Powder and Panamindorah: Refugees, Volume 2 to and why? 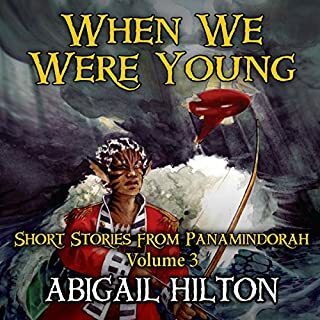 This book is set in the author's Panamindorah world along with the Guild of the Cowry Catchers and The Scarlet Albatross, so those are the most immediate comparisons. I highly recommend you start with those books before listening to this sequel. As for what these books are most comparable to, I'd say that if you enjoyed Watership Down, the Jungle Book, or even The Secret of Nimh, then you would enjoy these books. In addition to talking animals, they have quite a bit of political intrigue and nautical adventures. Which character – as performed by Rish Outfield and Lauren Harris – was your favorite? Silveo is always a favorite. A fallen prince, torn between his old kingdom and his new family. A worthy sequel, and top-notch narration. The Audio Version is technically superior.... .If and Only If you were not spoiled by the full cast audio in Guild of the Cowry Catchers. As someone that has listened to the Guild of the Cowry Catchers more than 10 times without getting bored, the voices for each and every main character is Iconic. Hearing Gerard and Silveo in Jager Thunder.... It is missing the additional Charm of Norm Sherman's voice as Silveo and Nathan Lowell's deep but compassionate voice as Gerard... those are the voices I miss the most. Both narrators do a great job. I was admittedly taken aback by Gwain's voice which sounded very very close to the original. I did notice however that Anaroo, Cpt. Acklebee... and really most of the Scarlet Albatross cast set in this book voices sounded less like them. Or perhaps the VA for them tried some different techniques? Hard to choose honestly. I know all the cowry catcher characters so well it hurts to choose honestly. I appreciated Gerard's struggle the most however. The struggle between duty and happiness. Have you listened to any of Rish Outfield and Lauren Harris ’s other performances before? How does this one compare? Yes. But alas, I don't have time to sit for 17 to 18 hours in one spot. 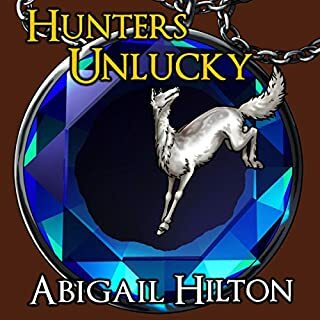 I highly recommend all of Abigail Hilton's Panahmindorah books as well as Hunters Unlucky. They are all available here on audio. The Guild of the Cowry Catchers is a full cast production that definitely benefited from being edited together from its original Podiobook status. Thank you for Writing the books Mrs. Hilton and thank you for having great friends and contacts to bring your characters to life past imagination. Any of Abigail Hilton's books will always be wonderful! This one brings more of the delight and depravity that encompasses her worlds. My favorite fantasy author does it again! 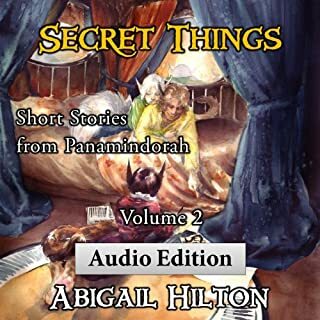 Both narrators are fantastic and unlike some authors, Abby chooses these folks carefully. If you've read Scarlet Albatross, this is a slam dunk purchase from an author who really cares for and is actively engaged with her readers. What a great Story, loved it. I really loved it. I couldn't stop listening. listening to all 3 books in a row really cements the story. my favorite scene wad when they brought Ellia Rezas head in a bag. I really disliked this guy, what a sleaze. but he made a fantastic villain. I was expecting this book to be like the Cowry Catchers series which I have listened to several times. It has many of the same characters but unfortunately they are no longer fun and appear to have aged into middle aged sounding old men. How can this have happened within a couple of years. A lively narrator is essential for this type of book. Rish Outfield is an excellent narrator but not for this book. I am over half way through the book and really struggling. I will not be attempting the other book in the Refugee series. But if you struggle with sleep and use audio books to get you off to sleep at night then this is the one. Even the main narrator sounds like he's about to nod off. What a pity. Another fantastic read in this much loved series. At first I admit this book was a little difficult to relate to after the full cast version of Cowry Catchers but very soon I found myself absorbed once again by the characters and story. I would definitely recommend that any reader should read the books in chronological order. I say this after reading the one star review left by another reader who obviously missed out the story of the Scarlett Albatross. I disagree that Rish Outfield is not the right narrator for this book. His voices bring the characters to life in a different way from the full cast version but are never less just as good, in their own way. 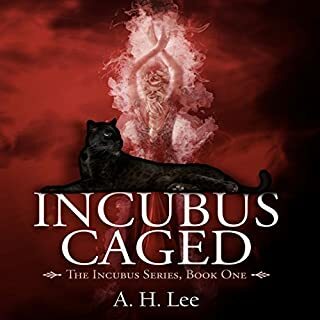 The interweaving of plots and characters was excellent giving the reader an interesting and exciting tale to immerse themselves into and leaving me wanting more.